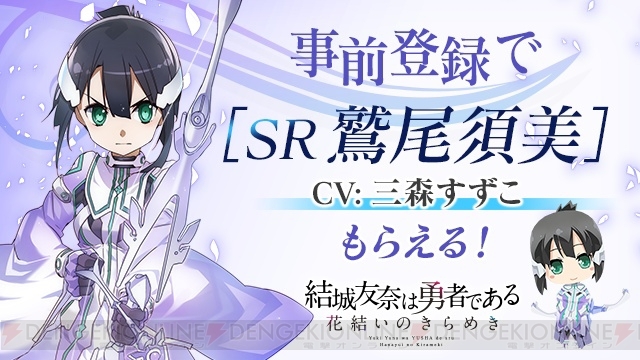 Yuuki Yuuna wa Yuusha de Aru (YuYuYu) to get a mobile game in Spring! Are you as ecstatic as I am about this piece of news? Yuyuyu has been one of my all-time favorites for quite some time (okay, maybe except that ending that is a little too good to be true) but finally! Finally one of my top favorites gets a game! I would have expected Monogatari Series or Durarara to get a mobile game first, but instead it's Yuyuyu. Not that I'm complaining, of course. Any cute girls "Mahou Shoujo" genre are always welcomed because who needs idols when you have magic, right? Wrong. But nevertheless, let's look at the game more. 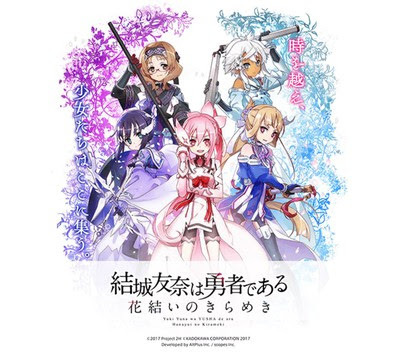 The game is titled "Yuuki Yuuna wa Yuusha de Aru: Han Yui no Kirameki" otherwise known as Yuuki Yuuna is a Hero: Flower Braid's Sparkle. This is the first mobile app for the franchise. It also had a PSVita game released previously, which I have gotten and liked it so I am looking forward to the mobile game as well. This game will be released in Spring for both iOS and Android and will include characters from all the materials (anime, novel and manga). In addition, the game is now also open for pre-registration! 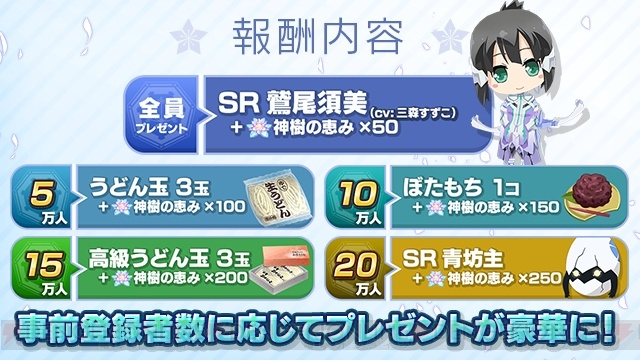 Those who pre-register will receive SR Washio Sumi (also known as Tougou Mimori). This is a great deal for me as Tougou is my second favorite character and I'll love to get any cards of her! 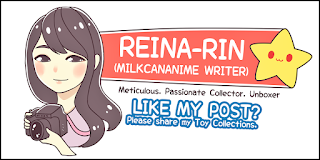 Personally, it is disheartening to see that they might be incorporating the novel's art instead of the anime's... simply because I feel that the latter has more crisp and refined line-art which makes the characters appear much cuter. Despite so, I'll definitely be checking the game out due to the origin of the franchise. Other rewards include these which would be unlocked based on the total number of people pre-registering! Lastly, for those who follow the official twitter (@yyyi_game) and retweet about the campaign, you will stand a chance to be one of the 2 lucky individuals to receive a shikishi (autograph board) of all the following cast members and seiyuu: Miyoshi Karin (Nagatsuma Juri), Inubouzaki Fuu (Uchiyama Yumi), Yuuki Yuuna (Terui Haruka), Tougou Mimori (Suzuko Mimori), Inubouzaki Itsuki (Kurosawa Tomoyo), and Nogi Sonoko (Hanazawa Kana). (1) Yuyuyu anime is getting a second season where half of it (6 episodes) will be set as a prequel to Season 1. The focus would be on Washio Sumi (Tougou's name before she met Yuuna). (2) Tougou Mimori has an Alter figure! She is currently up for pre-order too, and is available on Amiami. 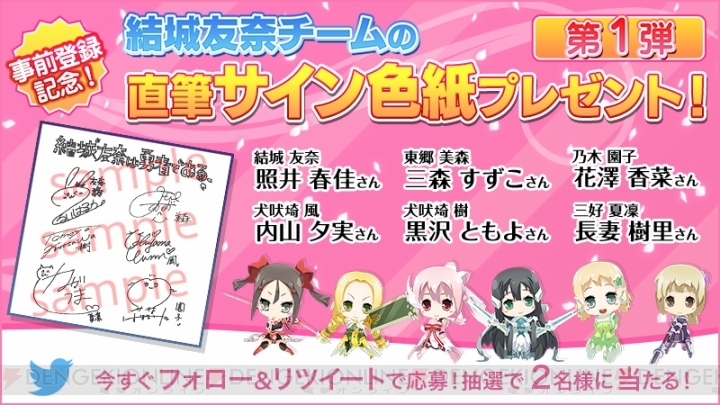 1 comment to ''Yuuki Yuuna wa Yuusha de Aru (YuYuYu) to get a mobile game in Spring!"